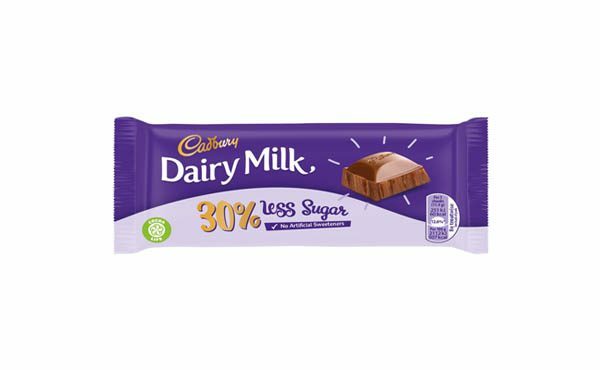 The new bar with will contain 30% less sugar and will sit alongside the standard bar on shelves. Manufacturer Mondelēz International says the move marks the most significant innovation in the brand’s history, and underscores its ongoing commitment to helping tackle obesity, including childhood obesity, in the UK. For almost two years, a team of 20 scientists, nutritionists and chocolatiers at Mondelēz International’s Reading and Bournville research and development facilities have been working to find a way to achieve the Cadbury Dairy Milk taste while delivering 30 per cent less sugar with no artificial sweeteners, colours or preservatives, and no increase in calories. This new Cadbury Dairy Milk variant is just one of a number of lower sugar innovations planned for the UK market over the next two years as part of Mondelēz International’s strategy to increase wellbeing choices across its portfolio and help people to enjoy treats, such as chocolate, in moderation as part of a balanced lifestyle.